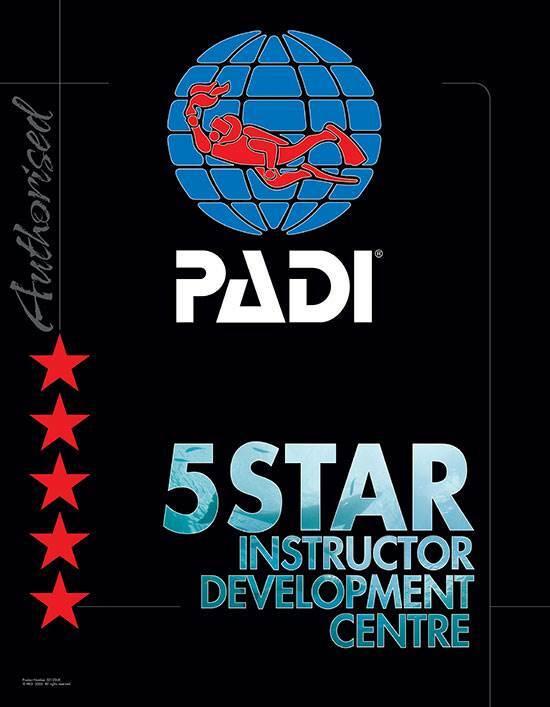 In 2011 PADI introduced an exciting revision to their prestigious PADI Divemaster course. Divemaster is still the entry level Dive Pro qualification, but greater emphasis is given to practical diving skills and less to obscure theory concepts. This makes the new course more relevant to those who just want to hone their diving skills without worrying too much about physics and maths! Note that not all PADI Divemaster courses are the same. 2DiVE4 have always produced high calibre Divemasters, many of whom are now PADI Instructors. We have added the new candidate only workshops to our existing internship and have streamlined the theory sessions. There is also an enhanced crewpak containing the course manuals and an Instructor manual. We also include the course DVD video. PADI Divemaster Course induction & 1st Theory Session – at 2DiVE4. Please bring your Log Book [showing a minimum of 40 logged dives], Advanced Open Water, current EFR and Rescue C-cards & a current HSE Diving at Work Medical Certificate [this must be obtained prior to any in-water activity]. If you also hold the PADI Deep and/or Search & Recovery Specialty qualifications, please also bring these C-cards. Prior to this session, you will need to read the following portions of the PADI Divemaster Course Manual and complete the corresponding Knowledge Reviews. You will also need to watch the DM student video. Introduction to the PADI Divemaster Course. Chapter 1 – The Role & Characteristics of the PADI Divemaster. Chapter 2 – Supervising Diving Activities. Chapter 3 – Assisting with Student Divers. Chapter 4 – Diver Safety & Risk Management. Chapter 5 – Divemaster Conducted Programmes. 2nd Theory Session – at 2DiVE4. Divemaster Final Exam part 1. 3rd Theory Session – at 2DiVE4. Prior to this session, you will need to read the following portions of the PADI Divemaster Course Manual and complete the corresponding Knowledge Reviews. You will also need to watch the DM student video and read the relevant chapters of The Encyclopedia of Recreational Diving. Chapter 6 – Specialized Skills & Activities. Chapter 7 – The Business of Diving and Your Career. Chapter 8 – Awareness of the Dive Environment. Chapter 9 – Dive Theory Review. 4th Theory Session – at 2DiVE4. Divemaster Final Exam part 2. Mapping Project & Emergency Assistance Plan – to be completed in your own time during your internship. These will be assessed and may require revision until they are satisfactory. Stamina Tests, Rescue Assessments & Skill Circuits. The objective of the Skill Circuit & Rescue Assessment is to development your skills to demonstration standard. These are run specifically for DM Candidates and do not involve real students, thus do not form part of your internship. #1. Pool session. Skill circuits & DSD Workshop. #2. Pool session. Scuba Review Workshop, Rescue Practice & Assessment, Skin Diver Course & Snorkelling Supervision Workshop. #3. Pool session. Stamina Tests, Equipment exchange. #4. Open Water session. DSD [Open Water] Workshop, Discover Local Diving Workshop, SMB deployment Workshop. #1 Open Water Diver Students in Confined Water. #2 Open Water Diver Students in Open Water. #3 Con Ed Students in Open Water. #4 Leading Certified Divers in Open Water. The maximum score is 5. The minimum satisfactory score is 3. Skills #1 – Dive Site Set-up & Management & #3 – Dive Briefing will be incorporated into your internship. Skill #2 – Mapping Project to be completed in your own time. Skills #4 – Search & Recovery Scenario and #5 Deep Dive Scenario. Mastery can be demonstrated by being certified as both a PADI Search & Recovery Diver and Deep Diver. Should you not already hold these qualifications, we strongly recommend that you gain them to improve your dive skills. Call 2DiVE4 today to discuss the PADI Divemaster Course and you could soon become a PADI Divemaster!